Look good. Feel good. Help the world. A bold plan for your wardrobe, much less your footwear. 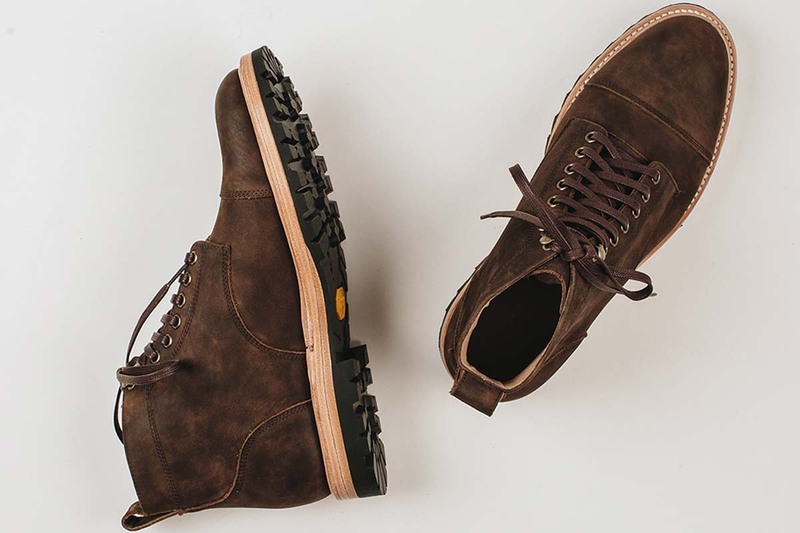 But it’s a trifecta accomplished by Taylor Stitch, which today launches six new boots that are rugged, comfortable from the moment you put ‘em on and built with a save-the-earth mentality that doesn’t sacrifice style. Started in San Francisco in 2008, Taylor Stitch’s ethos has long revolved around crafting responsibly built, high-end and yet still affordable menswear that lasts. The Workshop: An in-house crowdfunding program, the Workshop allows Taylor Stitch to test out and sell limited-edition wares. These items usually arrive with a hefty preorder discount, and the direct funding by consumers keeps manufacturing waste to a minimum. Buyback: Ship or drop off old Taylor Stitch gear and earn credit. Meanwhile, your formerly landfill-bound apparel gets repaired and made into one-of-a-kind products that are put back up for sale (admittedly, Buyback doesn’t include footwear or T-shirts). Last Call: Admittedly, this is just their sales section, but the prices drop as low as 50% off, and you can usually find one of our favorites from the previous season (like the Apres Hoodie or the Cognac Presidio Jacket). 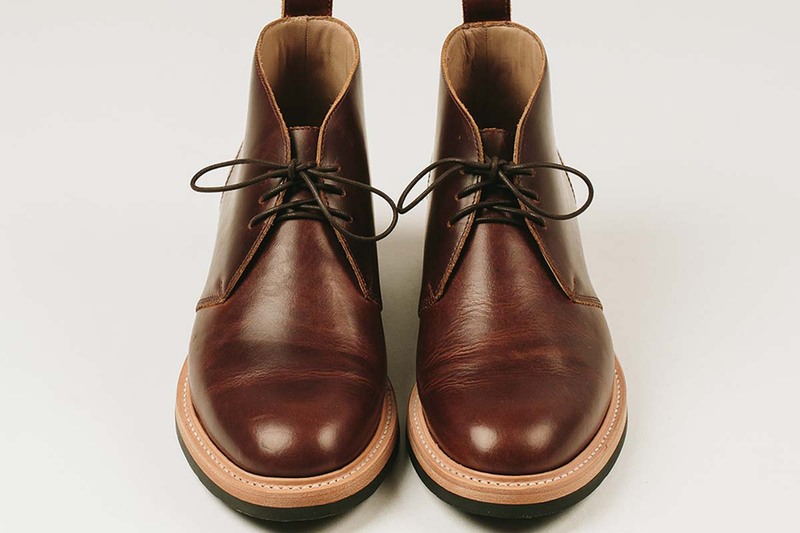 As for their new footwear: each silhouette features Goodyear storm welt construction, Vibram soles, cork footbeds and Leather Working Group Gold certified materials (i.e., made by leather companies that promote sustainable and environmental business practices and meet a certain protocol). Handmade in Leon, Mexico (“the shoe capital of the world”), this limited quantity footwear is rugged and looks better the more you wear ‘em. Built from 4-oz. Whiskey Eagle leather and featuring a natural pigskin lining, the Ranch also features front and rear pull tabs and a fully lined leather/foam insole. Also available in a chocolate waterproof suede. Hello, handsome. A comfy handsome, too: the leather Chukkas (like all Taylor Stitch boots) have no break-in period to feel right at home on your feet. Crafted from waterproof Espresso Grizzly leather with a double layer toe cap construction and six antique brass eyelets. 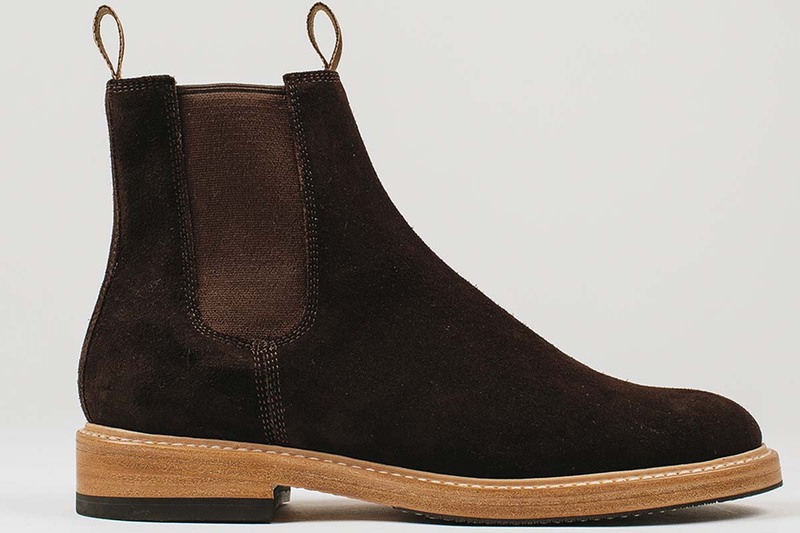 Also available in chocolate suede and a Whiskey Eagle leather. The collection ranges from $298-$348, and is available starting today.